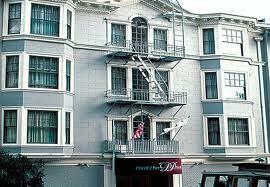 Elegant are the suites of Powell Place and it's Victorian charm. Should you desire to explore the surroundings you will find the ethnic culture of Chinatown. You may however choose to visit the Performing Arts Center, where you'll find the Herbst Theater, War Memorial Opera House and Davies Symphony. Time for diner then look no further 'Fisherman's Wharf' is the place to eat.